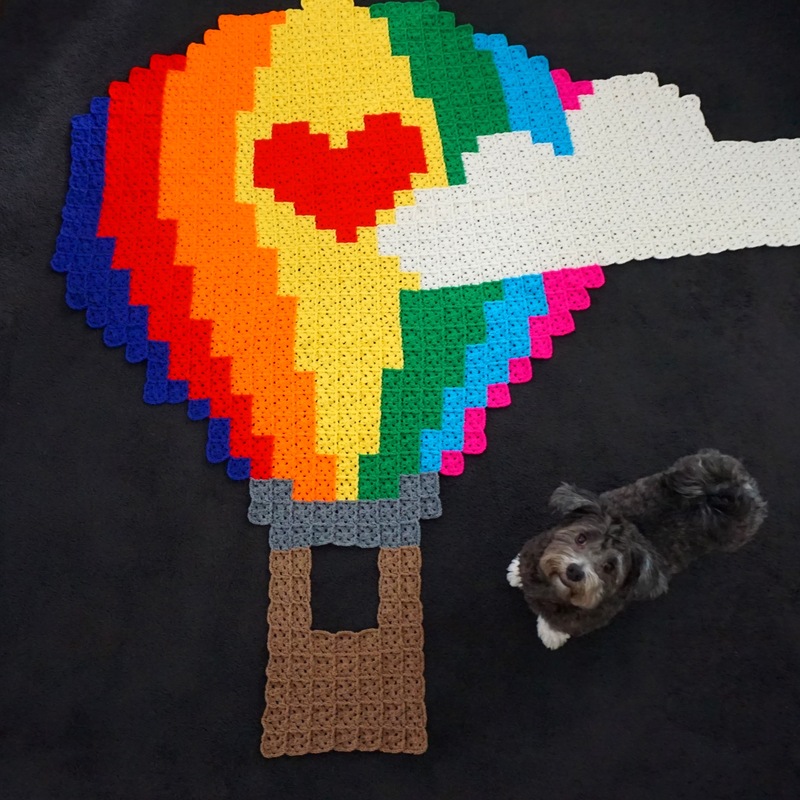 6 months & i’ve lost count how many granny squares.. but my Hot Air Balloon is finally finished!! Here is how i made it (**scroll down to the end of this post for links). 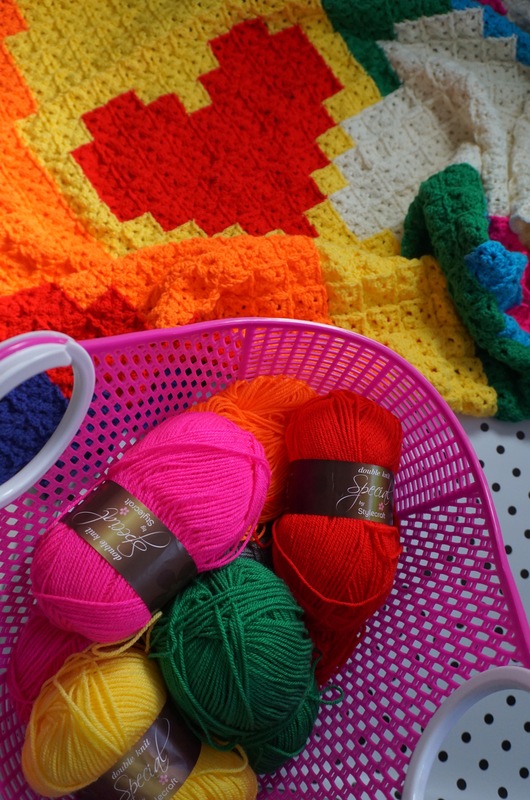 All the yarn used is Stylecraft Special DK – I will put a list of the colours i used at the bottom of this post 😉. My first time using Stylecraft & i LOVED working with it. It’s very soft, & is lovely to work with. 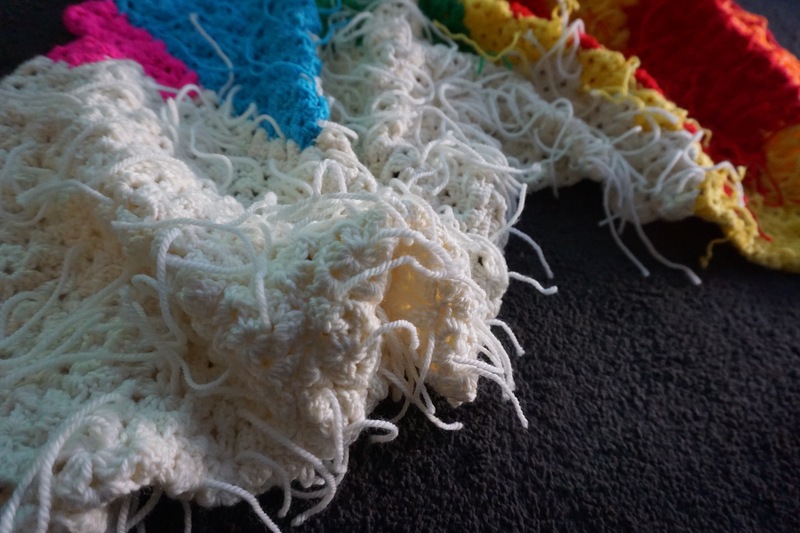 It’s acrylic yarn, & creates a nice shape to the granny square, a bit more of a solid structure perfect for this style. 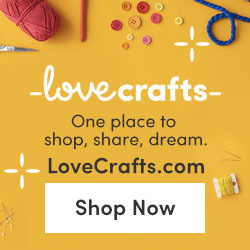 There are many yarn stores who stock Stylecraft, i purchased mine from Love Crochet. Pattern is a cross stitch chart by Fuzzy Fox Designs. i love Fuzzy Fox Designs for crochet as they convert so easily. Rachel uses very little backstitching on her charts (the stitched black lines) & uses full squares. Not only that, but her patterns are so gorgeous, you’ll want to make them all! 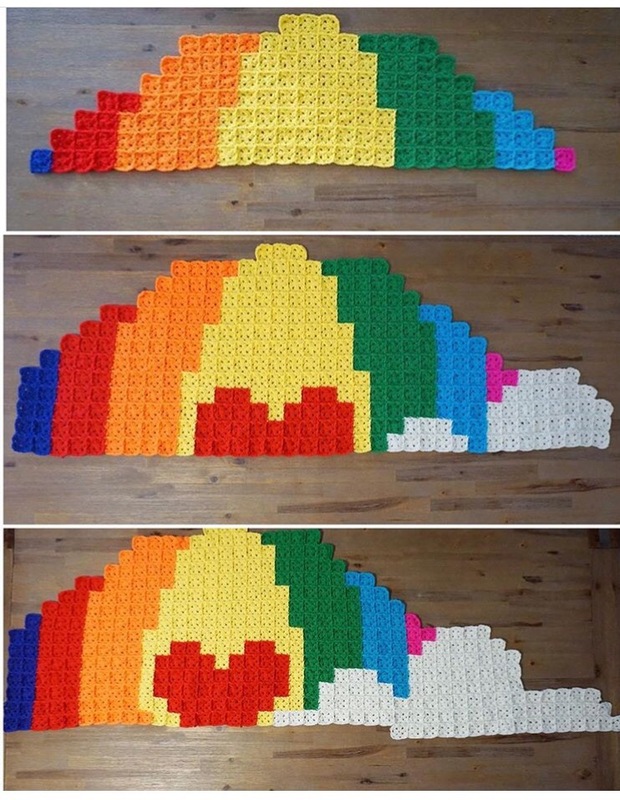 When converting a cross stitch pattern to a crochet pattern, each square of the cross stitch chart is converted into a granny square, then joined together to form the picture. 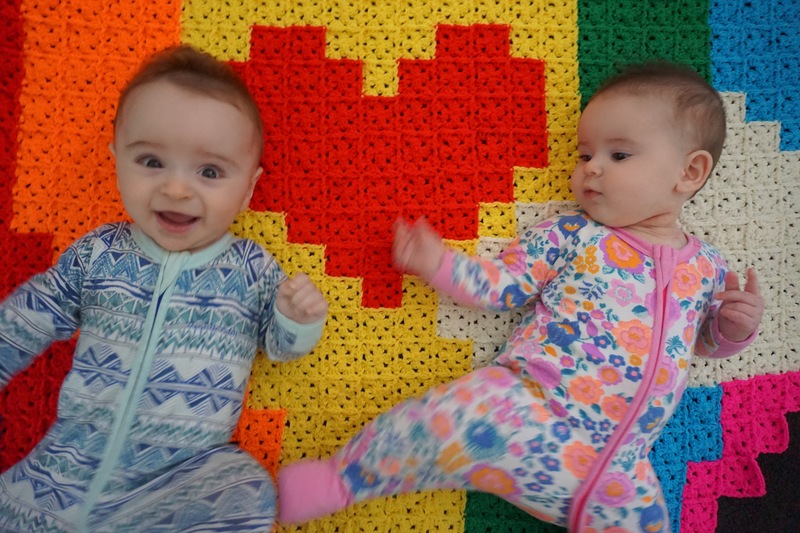 One square on the chart = one granny square. This was my first time doing the JAYG method, & now i couldn’t use any other way. The tutorial i used is by Attic 24, you can find it here. But you can easily sew them together later too if you prefer using a tapestry needle. And that’s it! 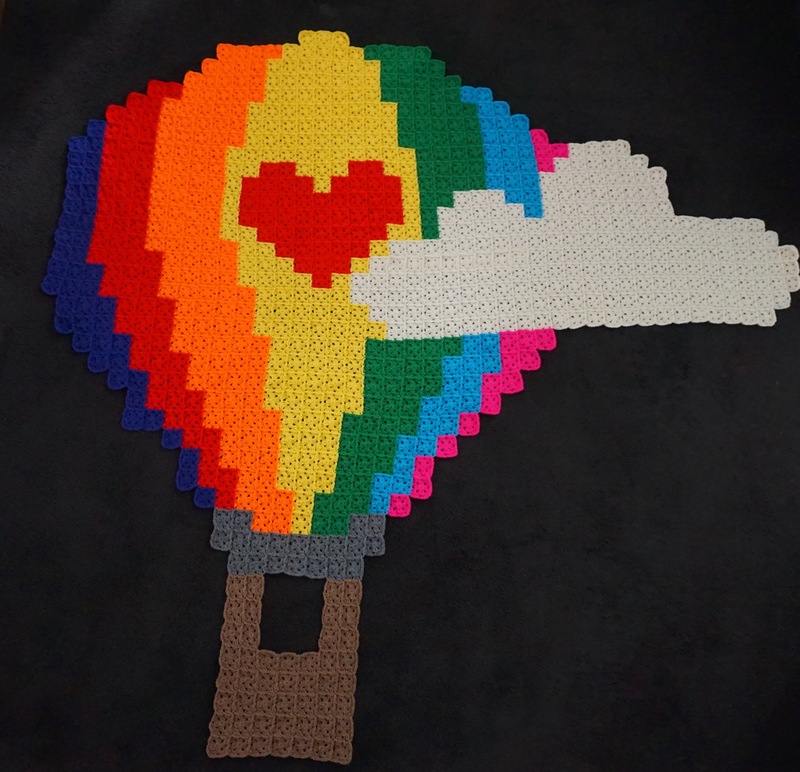 One very colourful Hot Air Balloon 🎈 now to plan my next pixel blanket.. think i will pick something a tad smaller this time. **Scroll down for yarn colours & links to where i purchased my supplies. 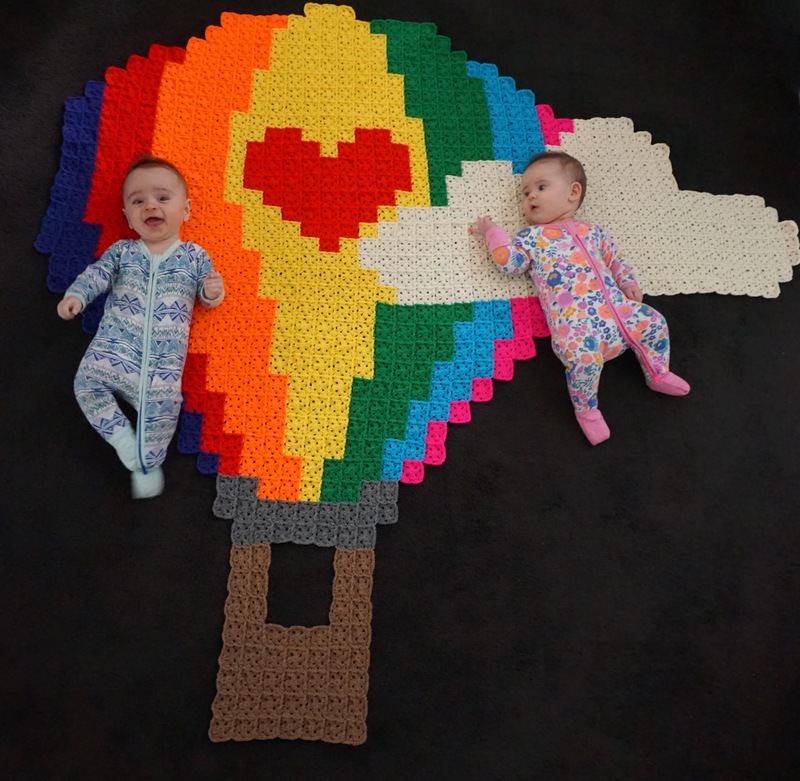 Layla & Wolf love the Hot Air Balloon, its the perfect size for them.